Tarte Styled By Hrush Eye & Cheek Palette | Top Beauty Blog in the Philippines covering Makeup Reviews, Swatches, Skincare and More! Self-taught stunner Hrush Achemyan has inspired over a million Instagram followers to create confidence and celebrity versions of themselves through her artistic and star-studded account @styledbyhrush. Now, this web celeb and master makeup educator is teaming up with tarter to inspire fans to embrace the power of makeup with an exclusive full face palette. It includes 6 universal, pigment-packed shadows in a mix of versatile mattes and high-impact lusters co-curated with the master of the smoldering, smoky eye. The rich, blendable eyeshadows are joined by a full size, matte coral contouring blush to add warm, longwearing dimension for a sleek, slim effect. With 4 custom looks from Hrush, this chic, collector's palette has everything you need to highlight your best features and embrace your inner superstar with the one-and-only @styledbyhrush. It is an elegant palette! Great post, awesome palette. beautiful colors as well, I love your blog, thanks for sharing!!! That palette is gorgeous, perfect shades! Adorei essa paletinha cores lindas principalmente do blush. The palette and the shades in it look gorgeous! Elegant and soft gorgeous shades! Oh my God that palette looks so good! The shades of the palette are perfect! Achei a paleta muito bonita! 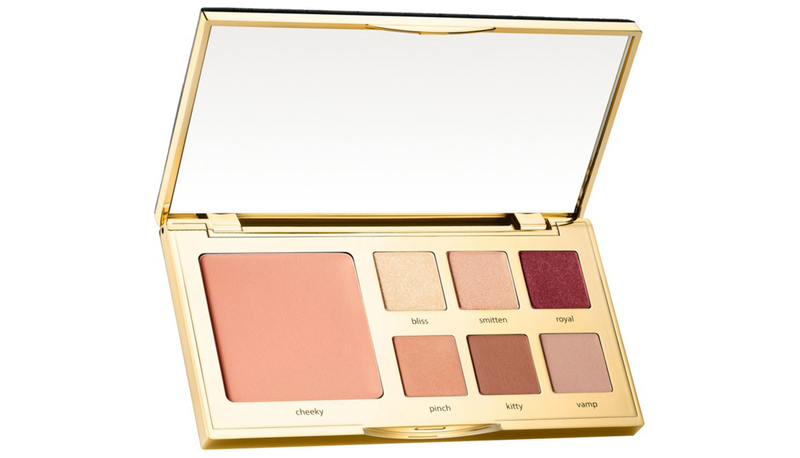 Such a stunning palette - will have to get this one.